I’m setting aside what I had scheduled for today to publish this post instead. Because I’m finding out that there is a HUGE need for a post like this. Let’s get our facts straight about what is really necessary for homeschooling high school. Would it be best to enroll him in an accredited school? How accepting are colleges of homeschool diplomas? My girls start high school in July. I’m scared to death. Middle school was not bad but high school! A friend told me that colleges only accept “Tier 1” curriculum when considering high school transcripts, meaning the course material is approved and taught within “Tier 1” standards. Does anyone know anything about this? I have an up coming 8th grader who will be home for high school and I’m feeling slightly overwhelmed. The truth is that homeschooling high school can fill even veteran homeschool moms’ hearts with dread. We’ve all seen the articles out there: Gazillion Books Your Kid MUST Read in High School. My Kid Got A Full Ride By Doing These Practically Impossible Things. Colleges Only Want Teens Who Show Fluency in Three Languages and Run for Local Office. Make Sure Your Teen Has All the RIGHT Credits for High School. Ad infinitum. Granted, I was a little tongue in cheek there. 🙂 But you know what I mean. This type of article IS out there, and it’s out there in abundance, unfortunately. What these articles do is scare us into thinking we can’t possibly do homeschooling high school right. They make us feel inadequate. They turn what is really not a difficult process into one that seems overwhelming. I purposely do NOT pin articles like that to put on my High School Homeschool Pinterest Board. I get really spooled up about people who engender fear among homeschool parents by disseminating their own OPINION about what high school students should do. I say that because these articles are in truth completely based on personal opinion and not on actual fact. 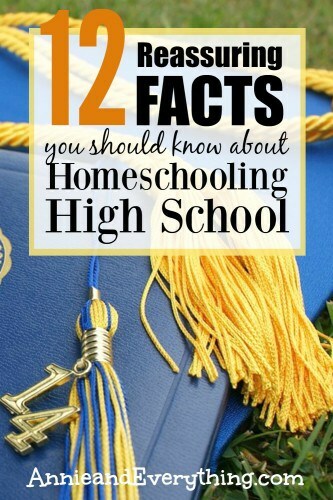 Today I’d like to look at the FACTS about homeschooling high school. It’s time to ease some fears and draw some deep breaths. Homeschool mom, if you are intimidated by the thought of homeschooling high school, then read these and get that weight off your shoulders. 1) You are NOT obligated to follow the public school laws for your state. Your only obligation is to your state’s homeschool laws, and they are usually very broad and allow for A LOT of decision-making on your part. Do not fall into the trap of believing that your child must do high school at home the same way the neighbors are doing it at the local school. 2) As a corollary to #1, you do NOT need to follow the graduation requirements for public schools in your state. THIS IS HUGE. You can use those as a guideline, but you have the final say about what your child must complete in order to graduate. You decide the number of credits; you decide the types of courses. Again, these decisions get made within the framework of your state’s homeschool laws. But those laws are most likely not as restrictive as you fear. 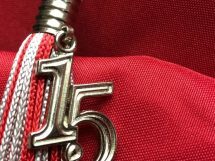 For more information, see What You Need to Know About Homeschool Graduation Requirements. 3) Colleges do NOT expect your child to be the same as a public-schooled child. Colleges accept homeschooled kids all the time these days. Any college worth giving your hard-earned money to will actually LIKE homeschooled kids, because they have seen their worth compared to the average public-schooled teen. 4) You do NOT have to use “accredited” courses or “Tier 1” courses (whatever THEY are) to ensure your child will be accepted by the college of their choice. Anybody who says so is a fear-monger. Guess what? You can even design your own courses!! More details here: Planning High School Electives for Your Homeschool. 5) You do NOT have to get your child’s transcript notarized or pay for some service to create it for you. The transcript you make for your child is just as valid as one sent from a public school. Just make the format clear and easy to follow. 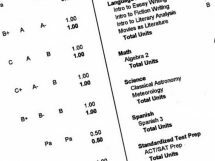 For a fill-in pdf that is already formatted, and for everything else you need to know about transcripts, see my article called Demystifying the Homeschool High School Transcript. 6) You do NOT have to keep one foot in the public school system so that your child can have enough “opportunities.” Being homeschooled will NOT limit or shortchange your child. 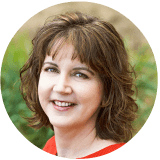 Read one of my most popular articles: Opportunities My Teens are Missing Because We Homeschool High School. You might be surprised at what it says! Along the same lines, you do NOT have to weigh your child’s day down with a bunch of extra-curricular activities to make their application look more well-rounded or to try to make them look “socialized.” When you homeschool, your child’s interests become part of their coursework. Colleges can handle that — really. 7) You do NOT have to know Chemistry in order for your child to learn it. That goes for every other difficult high school subject that you are worried about. Your teen can learn Chemistry, and all the rest of them, all by himself. Or you can find a tutor, or an online class, or even send him to the local community college, if you have the funds and that is your desire. There is more than one way to do the homeschool high school thing, and YOU can decide how it happens in your home. 8) Colleges do NOT expect your child to have read certain books. There is NO list of must-reads. Let your child read what they want to outside of their coursework — within the guidelines of age-appropriateness, of course. It is better that they read A LOT for pleasure than that they grow to hate it and won’t do it because they are forced to follow a prescribed list of boring and depressing “classics.” And don’t bother to keep a list of what they do read, unless you want to for your own sense of satisfaction. It is NOT necessary for a college application. For a list of suggestions (not prescriptions, just SUGGESTIONS, lol) of great books for teens that are clean and encouraging, see Good Books for Teens. 9) One of my big pet peeves is the whole idea of a high school “portfolio.” NO, no, no! You do NOT need to make a high school portfolio to try to impress colleges. Send ONLY what they ask for. They don’t need to see a sample lab report or persuasive essay about why Elizabeth should not have rejected Mr. Darcy. (Anybody else think it odd that she didn’t fall in love with him until AFTER she had seen his palatial home?? Hmmmm??? Well, I guess the pond scene with Colin Firth didn’t hurt, either…LOL.) Colleges create applications with certain questions and information requested for a reason. They’ve got it covered; they’ve been doing it a long time. 10) Your child does NOT have to be on grade-level to graduate from high school. If your child has a learning disability or some other reason for taking things a bit slower than the average student, you can still count their work as high school work and graduate them when YOU decide they are ready. More about this in What to do When Your Homeschool High School Student is Behind. 11) Your child does NOT have to take all core courses or AP courses or CLEP exams or dual credit. Check online college catalogs for what courses they require of their applicants — you will see it is not onerous. More about that here: How to KNOW What Your Teen NEEDS to Get Into College. 12) After all that about what colleges do and don’t want, I would be remiss if I did not also say this: College is NOT the only path your child can take after high school. Homeschooling actually provides MORE freedom to kids who want to try an alternate route, such as an apprenticeship or entrepreneurship or even working on the family farm. Don’t try to put your child into a mold unsuited for them. You know your child best! My point with all of these is that it’s not necessary to make homeschooling high school any harder than it NEEDS to be. Yes, all of the above things you can do if you want to; but they are not NECESSARY. Don’t let anyone tell you that you MUST do any of them. Can you tell that I am just a little passionate about this subject? LOL. But y’all, I HATE that moms are so worried about homeschooling high school. I HATE that so many put their kids into public school just because of their fear of falling short. Homeschooling high school is actually more fun than all the earlier years put together, in my opinion! So if you are just starting out, I hope I’ve put your fears to rest. If you are in the middle and are second-guessing yourself, I hope you’ve found reassurance. Homeschooling high school is VERY doable. Don’t listen to those rumors out there. Stick to the facts. P.S. My book can help you know exactly what you NEED to do to homeschool high school — and how to make it all happen without ruining your kid’s life. 🙂 Check it out here: Cure the Fear of Homeschooling High School: How to be Sure You’re Not Missing Anything. Awesome information as usual. This is really great. In fact it is easy to get sucked into the “my child is competing with public school students” when they really are not. I also love the “college is not the only route a child can take” so true. So many freak out if their child doesn’t want to go on to “higher learning”! This is great information, but I am uncertain about numbers 2 & 3… I get that our homeschool kids don’t *have* to take the same courses as public school kids, but what if they are college bound? We are in Oklahoma & there are specific courses required for college bound students. 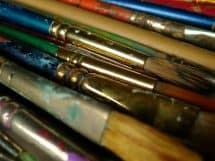 I assumed as homeschoolers, we would still need to follow those guidelines since my son definitely wants to go to college. I would love to be able to drop (for example) the 2 years foreign language requirement. My son (currently in 8th grade) is taking Latin & really struggling because he has ASD/Asperger’s & his speech is poor. The verbal parts of the course are almost impossible for him. But he wants to be a computer game designer – it is his passion & he is awesome at programming. He has to go to college to get a degree to work in programming & design (unless I am missing something somewhere..?) I wish there was some way to find out exactly what our options & requirements are. I don’t want him to start applying to colleges & find out he is missing courses he needed. I worry about all of it! What if you have a child who wants to have a profession like a doctor. Do you still feel like that can be accomplished through homeschooling in high school? My fears are not so much college but what if she has to return to the public school, what will happen? I have a granddaughter living with us now and am homeschooling. She enters 9th grade next fall and I am trying to find out what to teach should her parent decide to bring her back home (or she decides to go back). We are in Texas and they live in PA and the differences in school systems and homeschool expectations is big. I am leaning toward accredited and spending the money (that we really can’t afford) so should that happen it will make the transition easier. I just do not know what to do right now. How fitting that you posted this on my son’s 14th birthday, when I spent the whole day worrying about high school in the fall. And thank you, thank you, thank you for including number 12! We are starting high school this year and you can not imagine just how much I appreciate this post. Thank you! Would you consider removing the word ‘just’ from this statement? Aw, I certainly did not mean to offend anyone! The “just” was merely to imply a contrast between more formal programs arranged with people outside the family (apprenticeship) vs. something less formal that does not have to be officially arranged. But I’m not so committed to the word that I can’t take it out. 🙂 Thanks for stopping by, Julie! Wonderful, wonderful, wonderful article. So very helpful at putting so many of my fears to rest thank you. My son is just finishing up 6th and I was starting to dread teaching high school but the more I follow your blog, facebook page and Pinterest board the more relaxed I am feeling. Thank you. OHMYGOSH, Ann, amen, Amen, AMEN to this post! Also, #7…and #12…and…heck over the past 20 years of homeschooling (and having already graduated 2), I can just say you hit the nail square on the head, friend – I’ve heard ’em all, too! Anyway, thanks for this – pinning and sharing and referring to as called for ;-)! I’ve got one year left to prepare for this….my oldest will be in 8th grade. I just sent a request to join the Facebook group. We’re military Homeschoolers and I’m not even sure yet which state she’ll graduate from, but she wants to be an animator and will need college or Art college. I’m a little nervous…lol. ? My oldest is a sophomore at Savannah College of Art and Design (SCAD) in Savannah, GA. This school’s admission is extremely competitive. She was admitted on the spot, received scholarships, and is doing well at SCAD. Don’t be afraid! You can do it! I like to say that I’m not a ‘teacher’, I’m a ‘facilitator’. I find that as long as I find and provide the opportunity to learn, they educate themselves. I am not a Biology major, but I can find a biology course that can teach the information; I can’t speak Spanish (or Italian, or German), but I can certainly find a way to provide someone/some curriculum/some software that CAN teach it. I facilitate by first providing the method of learning, and then by ensuring they do the work and are learning. That’s my job! This post was reassuring. It’s so easy to get caught up in what we think our kids “should” be doing. Instead of looking to the public school requirements, I looked at websites of nearby colleges to see what they required for admission. I was relieved to find out that some of the requirements are far less than what I expected. Having the freedom to skip a course that you thought your child needed, in order to focus on something else your child will actually enjoy, is such a blessing. This is awesome! Thanks for this, we are very relaxed homeschoolers! I live in Florida and I looked on their Ed website and I am still unclear if I have to follow their requirements for high school graduation, maybe I am making it harder than what it is. Thank you for this! We’re just getting started with our kids and ALL the information out there is…overwhelming, to say the least. This simple list is encouraging! So thank you!